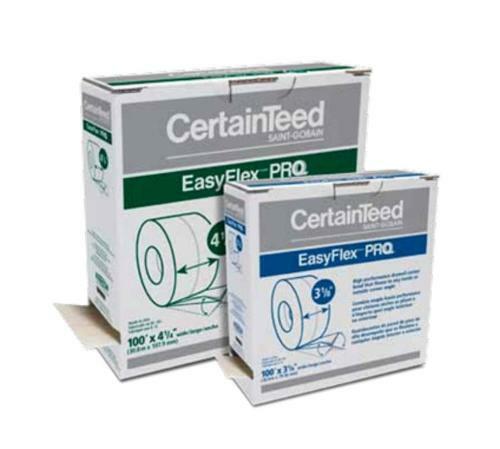 4 1/4 in x 100 ft CertainTeed EasyFlex PRO Flexible Corner Tape at Cowtown Materials, Inc.
CertainTeed EasyFlex™ PRO provides a perfect corner by fitting every angle, every time. Applied with joint compound, it has a uniform, strong, structural bond due to its paper backing. Faced with a tight fibered, high quality paperboard and backed with a joint tape paper, it’s ideal for applying paint or texture.